Medicine has made tremendous progress over the past 25 years. Part of this progress includes new diagnostic tools and new medications to treat illness. Yet many people find that today’s doctors are less involved with the emotional aspects of their patients’ lives. 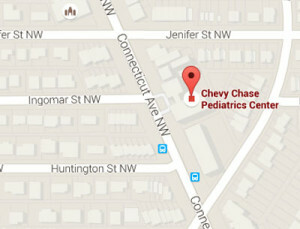 At Chevy Chase Pediatrics, we work hard to keep ourselves updated on the latest medical advances. At the same time, however, we pride ourselves in our ability to take care of the whole child. 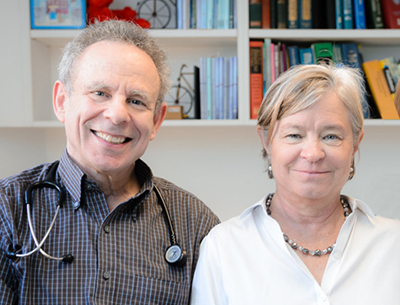 Each child in our practice has his or her own doctor. This continuity of care enables us to really know our families and to provide excellent care of our patients from birth through adolescence. We take the time to make every visit as pleasant as possible for our patients. 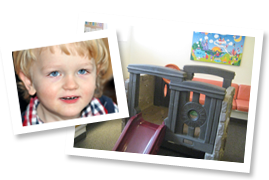 Our kids love the LEGO sculptures that fill the office and the plastic climber that adorns our waiting room. 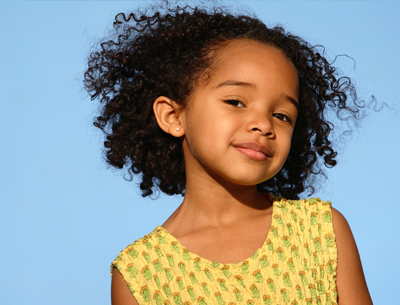 We know that children are often worried about seeing the doctor, especially if they need shots or blood tests. We have two DVD players that children can watch during painful procedures. In addition, our nurses developed a technique called “tag team shots” that reduces the pain of immunizations. If a child needs two shots, we give them simultaneously, which eliminates the anxiety and pain of getting the second shot. Our in-office lab is certified as a “High Complexity Laboratory” by COLA, the Commission on Office Laboratory Accreditation. This means our medical technologists go through a rigorous annual inspection to ensure that the accuracy of our results meets the highest standards. Because we have high-tech equipment on site, we can get the results of many lab tests while you are still at the office. This allows our doctors to make clinical decisions on the spot without having to wait for results to come back from an outside lab. In addition to our on-site equipment, we send blood and other specimens to excellent reference labs in the area. The results of these samples come back in one to seven days depending on the tests being ordered. As of July 2013, we no longer see newborns at area hospitals because our morning call-in time and busy office hours prevent us from getting to the hospital in a timely manner. The staff pediatricians at Sibley, Georgetown and other hospitals will supervise your baby’s care after delivery. However, we are very interested in knowing when our new babies are born. Please call the office and let your primary doctor know that you have given birth to your baby. That way we can answer any questions you have during your hospital stay and help coordinate your first visit to the office. 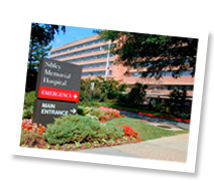 If one of our older patients needs to be hospitalized, the facilities we use most often are Children’s National Medical Center and Georgetown Hospital. Want to visit the office in person to learn more?